Buying or renting a house is expensive enough without the added cost of your household utility bill on top. While necessary, this extra financial burden can sometimes make the cost of home ownership seem beyond the scope of your budget. 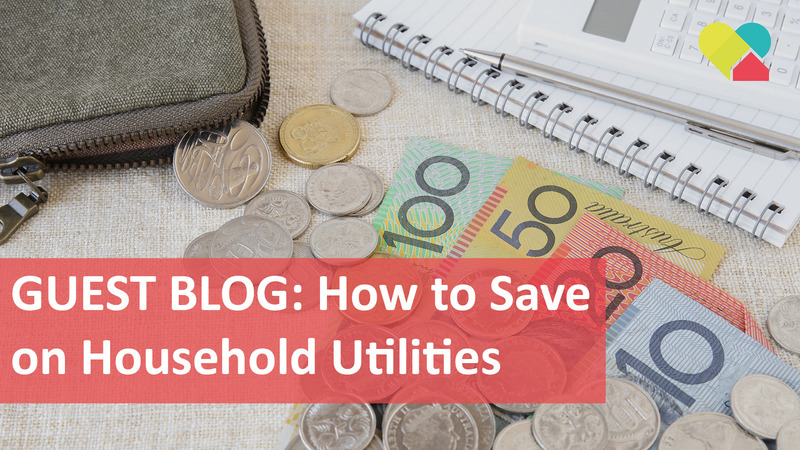 It’s not uncommon to get caught out when an unexpectedly expensive bill arrives in your mailbox, but don’t fret, here’s what you can do to cut the cost of your household bills. Different utility providers offer a range of different deals and prices, you just need to find them. Doing your research and comparing what’s on offer can result in massive savings. However, before making the decision to switch providers, have a look at the exit fees of your current plan and the establishment fees of your new plan, as these can be quite high. It might also be worthwhile calling your provider directly and simply asking them if they can offer you a better deal. When deciding on your Internet service provider, remember that there are smaller, lesser-known broadband providers that may be able to offer you a better-value Internet plan. It can also be useful to ask your neighbours which provider they use, as the quality of your Internet is dependent on the area that you live in and the type of connection that you have. If you’ve been battling with frequent Internet dropouts, but your neighbours are satisfied with their connection, perhaps it’s time to make the switch. With multiple bills and a busy lifestyle, it’s very easy to forget to make your payments on time. This can result in your service being cut off and your credit score taking a hit. Providers also charge very high fees on late payments, which can significantly increase the total cost of your bill. Paying on time can help you avoid these additional costs. Most providers offer auto-payment options or email reminders for when your utility bills are due. Setting this up is a great way to guarantee that you won’t forget. But don’t forget to check your bills each month, to ensure you’re being charged the right amount. Allocating a regular time in your schedule to pay your bills can also help you to get into the habit of staying on top of everything and will reduce the chances of you missing a due date. Some providers even offer discounts if you pay early, so big savings can be made! If you’re still paying for your landline and you find yourself relying more on your mobile, it might be time to hang it up. Even if you never use it you could be paying an unnecessary line rental fee. Research from finder.com.au, found that only 29% of Aussies regularly use their landlines, the majority of which are older Australians. Disconnecting your landline means that you’ll completely eliminate your household phone bill. Many of us are enticed by the big discounts sometimes offered by energy providers to promote their services. However, providers who offer discounts can sometimes end up charging a higher usage rate once the promotion is over. It’s worthwhile checking which providers offer a lower rate, as this can ensure that you end up paying less even if it there are no discounts. There’s plenty that you can do on a day-to-day basis to reduce your utility bills. Switching all your light bulbs to the energy saving ones and unplugging all electrical devices when they’re not being used are great ways to cut down on your energy usage. Installing water saving devices, fixing leaking taps and opting for a dishwasher and washing machine with a high water saving star rating can also help you to reduce costs. By following these tips, you can reduce the financial stress of paying expensive utility bills and enjoy owning or renting your own home. See what rental properties in Perth we have available here.